Trakehner are noble, warmblood horses that are often used for jumping and dressage. They can reach a height of 170 cm at the withers and have many colors. Trakehner are pure-bred warmblood horses. 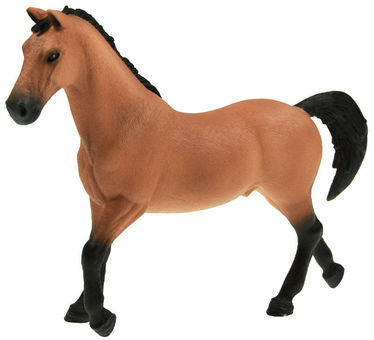 For many horse fans these elegant animals are the ideal modern riding horse. Trakehner are especially suited as sport horses; they are just as talented at dressage as at jumping. They reach a height of 160 cm to 170 cm at the withers and have many colors. The Trakehner's brand is an elk horn. Supper! Galvenais, ka paspēja laikā piegādāt, jo nekas tā neiepriecina, kā dāvana bērnam tieši dzimšanas dienā! Paldies!